We have provided a list of the most frequently asked questions about iLASIK for individuals who are interested in learning more about this exciting procedure. iLASIK, or laser assisted in-situ keratomileusis, is a laser procedure performed for vision correction. Advanced CustomVue™ iLASIK involves using a device called a WaveScan Wavefront™ Analyzer to help determine a patient’s treatment. The WaveScan Wavefront™ test takes a fingerprint map of the vision system to ensure that treatment addresses the unique characteristics of each individual’s optical system. iLASIK involves the quick creation of a very thin flap (Intralase™ method), attached on one side, in the surface layer of the cornea. A cool-beam laser is then used to sculpt the prescription into the cornea. The laser has a pupil eye tracker which monitors the minute movements of the eye. Also, a gentle eyelid opener keeps you from blinking. After the laser applications are complete, the flap is returned to its original location. The flap heals quickly and naturally without the aid of sutures. The procedure is quick, typically painless, and very safe. It's painless, quick and my eye won't move? The procedure is typically painless. Sometimes you may feel gentle pressure, but most patients will admit that it was painless. The procedure is quick. The eye is tracked automatically during the procedure. If your eye suddenly moved, the laser would instantaneously pause, then restart where it left off once your eye was in the right position again. How long is the recovery period after iLASIK? After the procedure has been performed, we ask patients to keep their eyes closed as much as possible for the remainder of the day. Eye shields may be worn at night to protect against accidental rubbing that could interfere with the healing of the corneal flap. Most patients are able to go about their normal activities the next day. Yes! As a matter of fact, many of our patients use this program to pay for their procedure. The plan is very flexible; patients may put zero down and have payments as low as $64 per month. At one of the free evaluations, we will discuss how to make the procedure even more affordable. What if I'm not a candidate for iLASIK surgery? Great news! You may be a candidate for the Implantable Collamer Lens™(ICL™) from STAAR Surgical. This tiny implantable contact lens corrects nearsightedness from low to extremely high levels. In some cases, it provides sharper vision than iLASIK. Dr. McGarity will discuss this option with you and he is the only provider in Central Missouri who is trained and certified by STARR Surgical to implant this fantastic device. What are some common things that might keep me from being a good candidate? 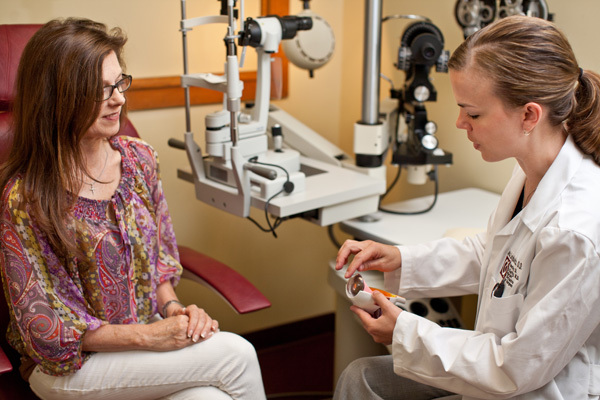 We try to provide as many options as possible for patients who are seeking permanent vision treatment, however, there are a few things that might prevent you from being a good candidate at this point in time. These include, but are not limited to, active cancer treatment, certain autoimmune disorders, certain types of medications taken, as well as pregnancy or breastfeeding.